We’re a day late this week due to a nice bank holiday weekend, and we’re a man down as Will got treated to a few days away. 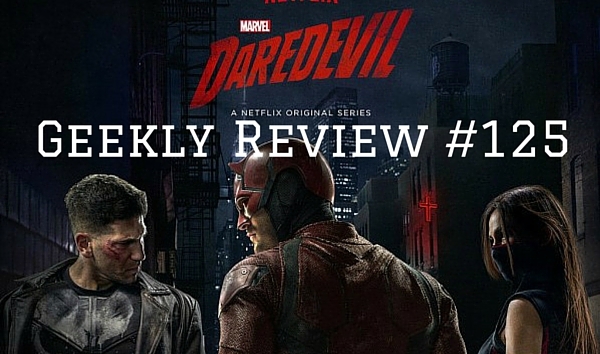 So as mentioned in last week’s GR, I’ve been making my way through the 2nd season of Daredevil. Over the bank holiday we sat down for 5 hours to finish season 2 off. While I did really enjoy the majority of it, there were some events in the series that I wasn’t particularly keen on. The Punisher episodes were all incredible. The court case stuff for the Punisher were also incredible. The prison scenes with Fisk and Punisher were incredible. You get the idea, I really enjoyed the introduction of Frank Castle to Hell’s Kitchen. What I didn’t like about this season were Elektra, Stick, The Hand, Nobu and Ninja’s being everywhere. While these events were taking place in episodes I really found myself wanting them to be over and more story featuring Daredevil and the Punisher to be back on screen. I have to admit the “death” of Elektra I was really not bothered about and had kinda been rooting against her and hoping she’d get taken out a lot sooner in the season than she did. It was still a very strong season and I enjoyed it for the most part, but was disappointed to see Elektra in the final scenes of the show. Over the bank holiday we got to play a few games of one of our latest board games, Portal (It’s a long full title). It took a while for things to progress for us, but we eventually got to grips with what we had to do and had a lot of fun with it in the end. A full review will be coming soon. We also got to play another new game called Skull which is a game about bluffing. This went down really well too. We ended up playing this game more as it’s quick and simple. Coming back from the pub and devouring a bottle of Amaretto while playing. A review of this will be up soon too. And finally I took the bait and picked up the GTA PS3 trilogy for PS4 as they were on sale. All 3 for £15. 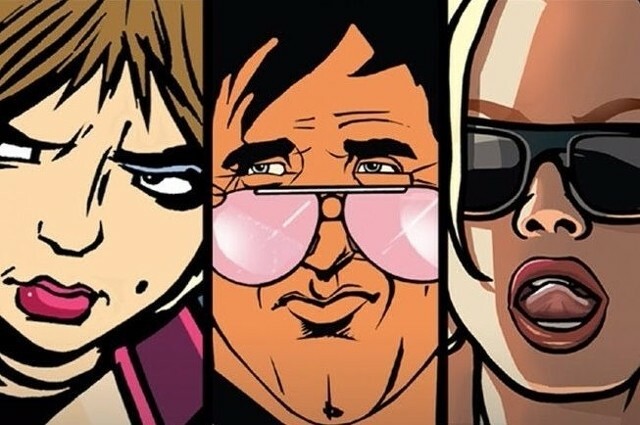 I’ve made a start on GTA3 and can still drive around this iteration of Liberty City with relative ease with regards to remembering this are and such. Chatterbox FM is still hilarious to listen to while doing the opening jobs for Luigi and Joey. I’m looking forward to putting more hours into old Liberty City and going through this trilogy of classics. That’s if Manhunt and Bully for PS4 don’t end up being bought too. So let the rumours begin for our Christmas 2016 games. Call of Duty 2016 is rumoured to have a pre-order bonus for XboxOne featuring Call of Duty: Modern Warfare 1 and Modern Warfare 2 backwards compatible game codes. Seems an odd one given the Sony / COD marketing deal that was signed last year. And the next rumour up is that the new Call of Duty is to be set “in the very far future” with “Space Combat”. Batman vs Superman: Dawn of Justice – Almost as good as Paul Blart Mall Cop? 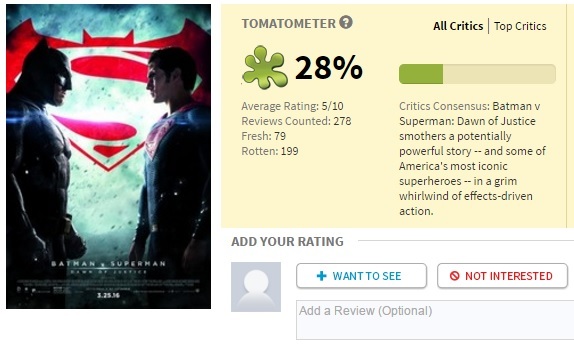 So, It turns out that BVS Stinks, and stinks pretty badly if reviews and Rotten Tomato score are to go by. I’ve yet to see it, but have to admit it that these reviews are putting me off slightly. There’s no denying I love the Marvel Cinematic Universe so always approach the DC stuff with a pinch of fan-boyism, but this really makes me think I don’t need to see this film. Roll on Captain America: Civil War (here’s hoping it gets a better RT than BVS).